I am doing an early release of the print, because today is my friend Audra’s birthday. 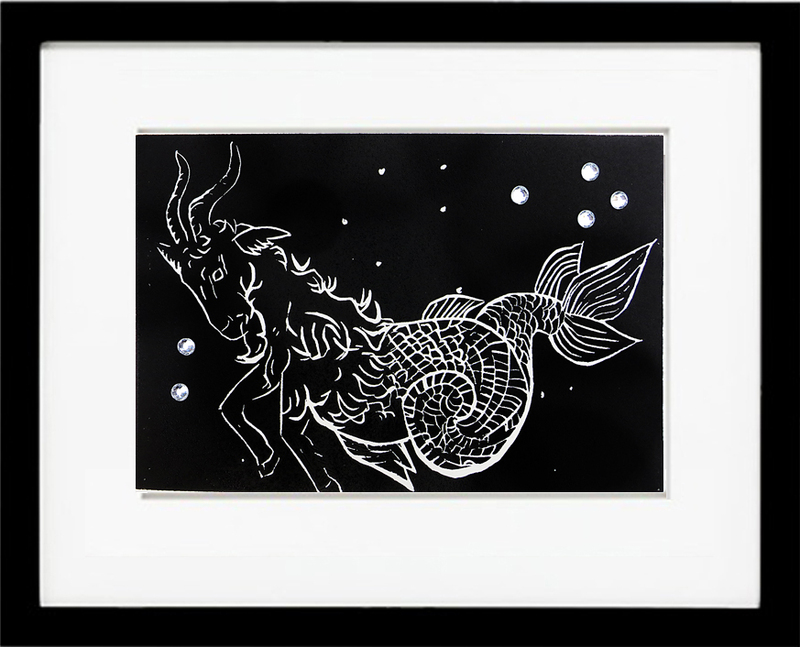 In celebration of her birthday I carved a Capricorn Goat Fish, making one print extra special with 6 bedazzled rhinestones. Maybe by the end of the day I will add another 8, one on each star. Happy Birthday Audra! 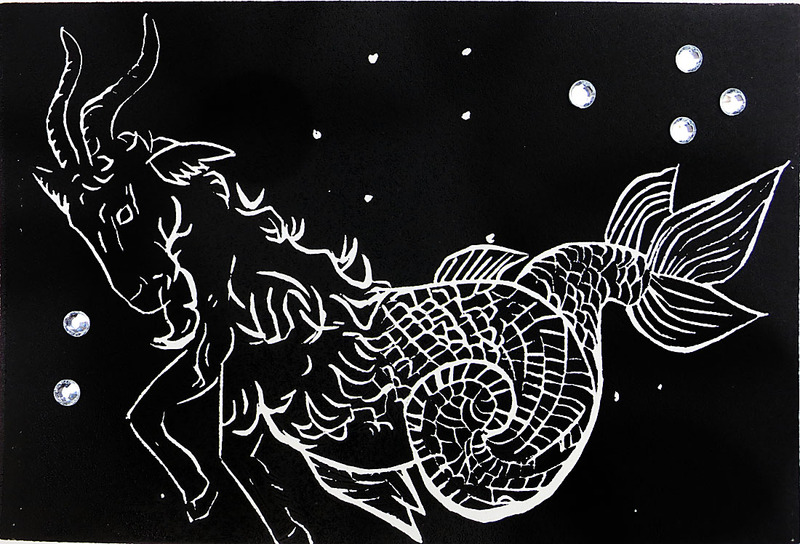 This Capricorn print is included in the 30 x 30, but instead of rhinestone each print will have silver glitter on the stars. I need to wait for the ink to dry before applying the glitter. You can take a chance and grab one up now, or tomorrow I will update the photo with glitter!!!! 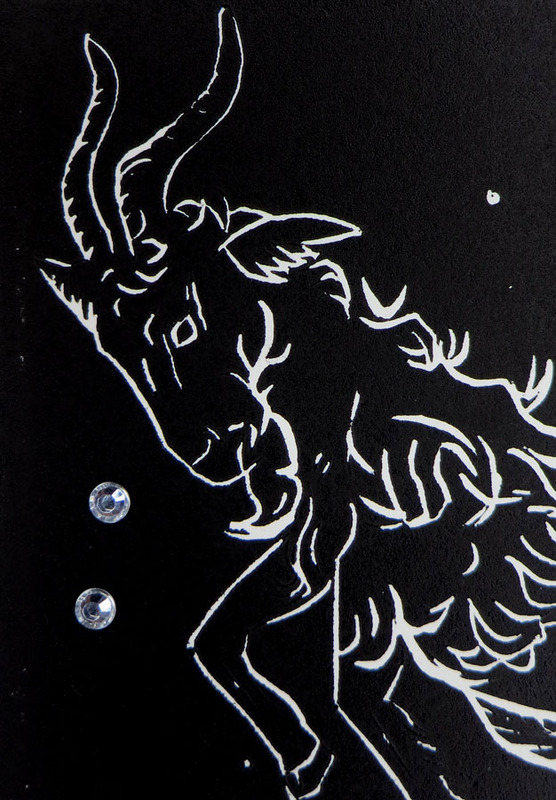 Here is a close up of the goat head with two rhinestones. It is up and available on StoneTrigger Press, Etsy page now.